I am excited to announce that I entered the 2016 AGTA Spectrum Awards Competition. American Gem Trade Association (AGTA) is the largest loose gem trade organization in the world, and the Spectrum Awards Competition is an international competition. I am honored to be among the designers who entered, and would like to share my inspiration behind the design piece. Of all colored gemstones, I find the tourmalines to be the most fascinating, as they are broadly diverse in colors, often in combinations of colors and sometimes phenomenal in form. 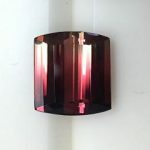 I began collecting tourmalines more than 30 years ago – long before they made the jewelry retailers’ “most-popular list.” I am always keeping an eye out for unique and exceptional tourmalines. 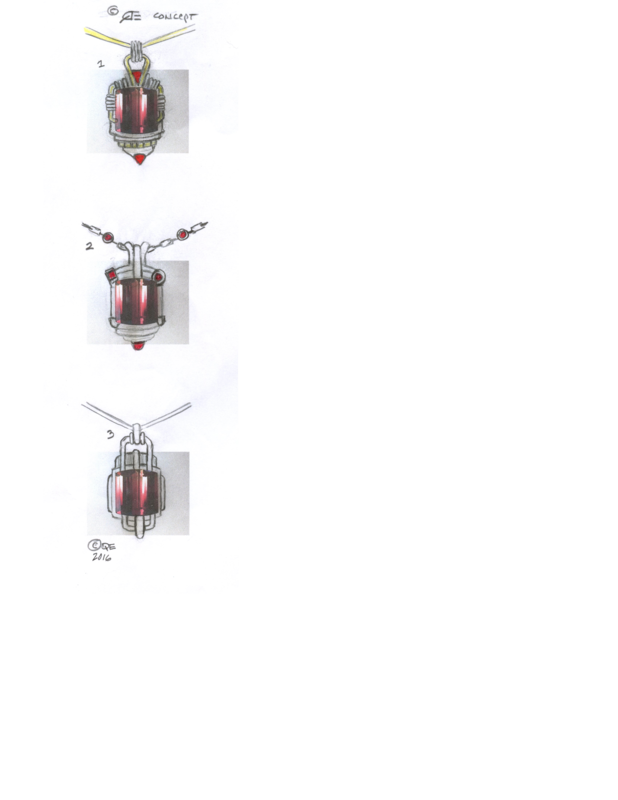 The tourmaline used in the pendant is one I bought about seven years ago – definitely one-of-a-kind. 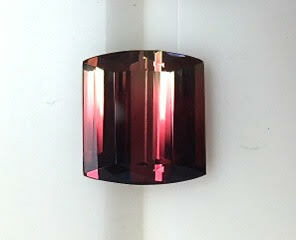 It is a bi-color crystal exhibiting rich ‘wine colors’, from cabernet reds to chardonnay golds. This crystal was fashioned and polished by a veteran colored stone cutter/artist. The unique faceting array mixes, separates and rolls the colors through the whole crystal, creating a kaleidoscope-like movement of light. 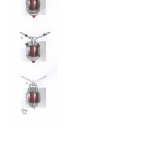 Last year a client commissioned me to use this unique gemstone in a pendant/necklace in a “Steampunk” inspired “lantern” motif. I researched the genre, and made preliminary sketches for three possible variations. My client chose one, but unfortunately, the project never went forward. Later however, I decided the designs were solid, and the necklace should be produced anyway! I chose my favorite (No.3), which I have entered in the upcoming 2016 AGTA Spectrum Awards Competition. The necklace is a multi-piece assembly of cast components. Pendant is 18 Karat white and rose gold. The tourmaline weighs 16.63 Carats. The chain is 14 Karat rose gold oval cable links, stationed with 14K white gold billet bars.